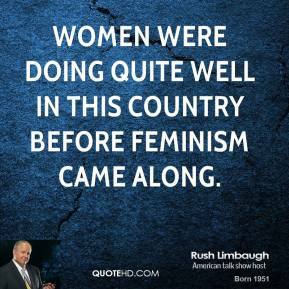 Women were doing quite well in this country before feminism came along. 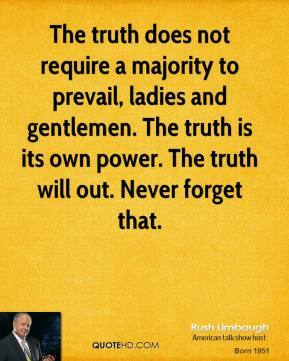 The truth does not require a majority to prevail, ladies and gentlemen. 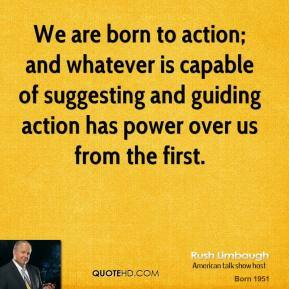 The truth is its own power. The truth will out. Never forget that. 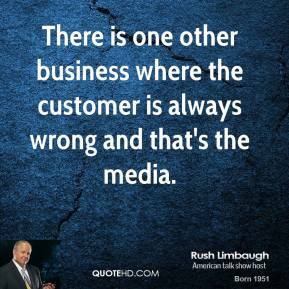 There is one other business where the customer is always wrong and that's the media. 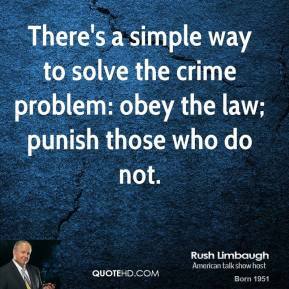 There's a simple way to solve the crime problem: obey the law; punish those who do not. 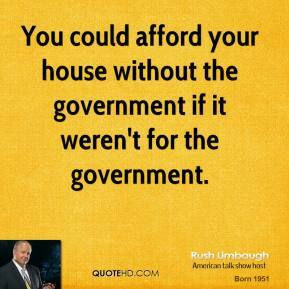 You could afford your house without the government if it weren't for the government. 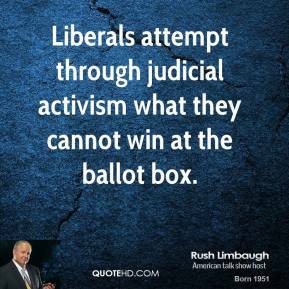 Liberals attempt through judicial activism what they cannot win at the ballot box. 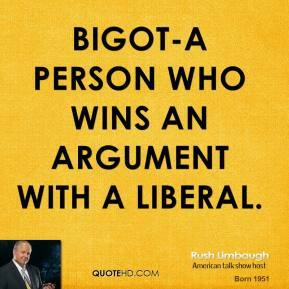 Bigot-A person who wins an argument with a liberal. 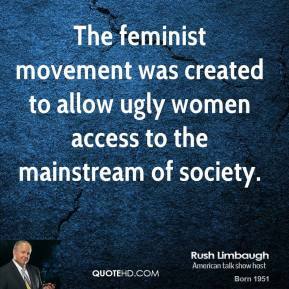 The feminist movement was created to allow ugly women access to the mainstream of society. 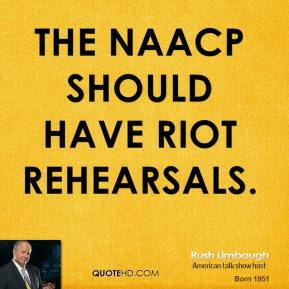 The NAACP should have riot rehearsals. 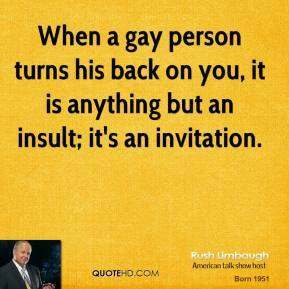 When a gay person turns his back on you, it is anything but an insult; it's an invitation. 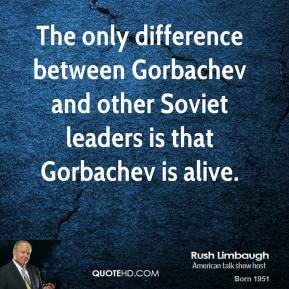 The only difference between Gorbachev and other Soviet leaders is that Gorbachev is alive. 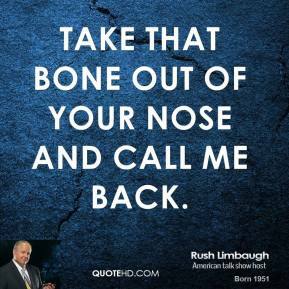 Take that bone out of your nose and call me back. 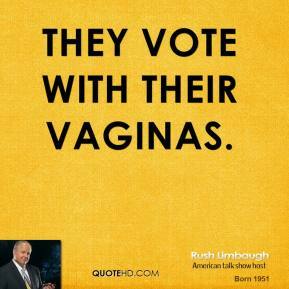 They vote with their vaginas. 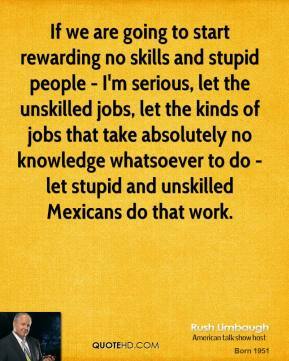 If we are going to start rewarding no skills and stupid people - I'm serious, let the unskilled jobs, let the kinds of jobs that take absolutely no knowledge whatsoever to do - let stupid and unskilled Mexicans do that work. 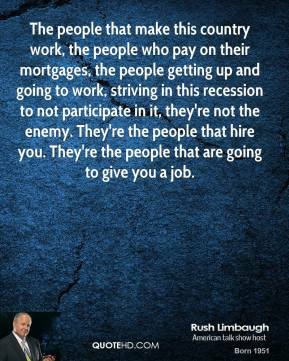 If you're working to make the playing field fair and level, you're working for the wrong reasons. 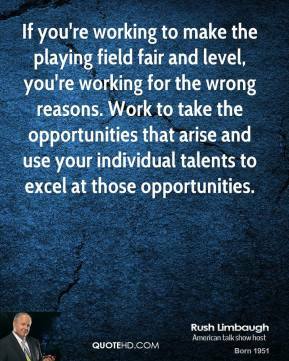 Work to take the opportunities that arise and use your individual talents to excel at those opportunities. The culture war is between the winners and those who think they're losers who want to become winners. 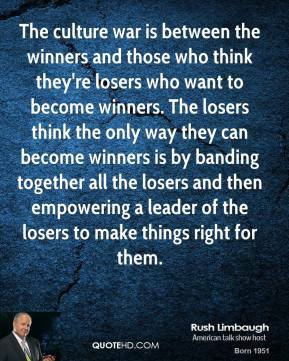 The losers think the only way they can become winners is by banding together all the losers and then empowering a leader of the losers to make things right for them. 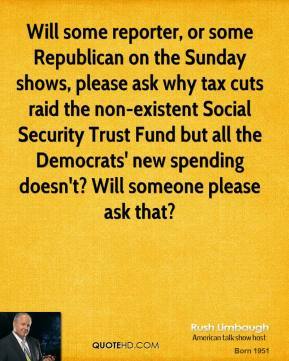 [Democrats] don't have reasons for people to vote for them. 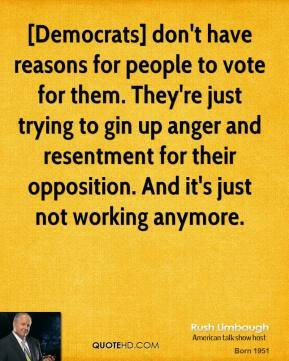 They're just trying to gin up anger and resentment for their opposition. 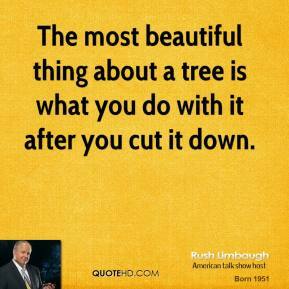 And it's just not working anymore. 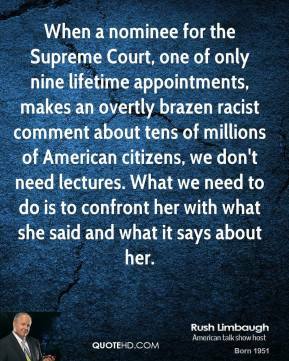 [Even so, reports of his involvement echoed on conservative talk shows Thursday, generating outrage and disbelief.] 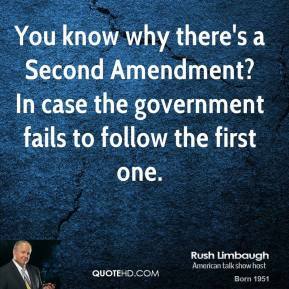 There's no question this is going to upset people on the right, ... There's no question the people on the right are going to say: 'Wait a minute. Wait a minute! 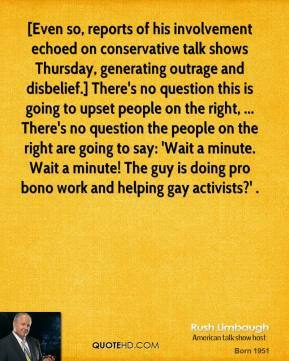 The guy is doing pro bono work and helping gay activists?' . 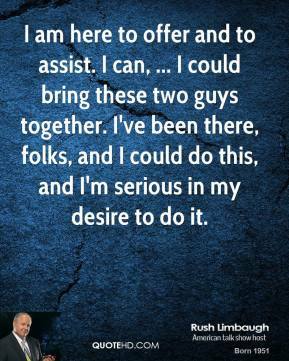 I am here to offer and to assist. I can, ... I could bring these two guys together. I've been there, folks, and I could do this, and I'm serious in my desire to do it.